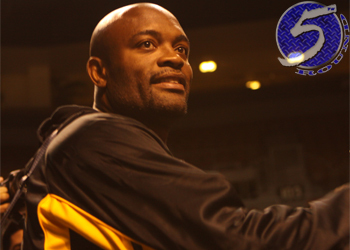 “Like Water” is a documentary featuring UFC middleweight king Anderson Silva. The film follows the Brazilian around his home and gym as he prepares for his UFC 117 grudge match with Chael Sonnen in August 2010. After getting dominated for nearly their entire 25-minute affair, “The Spider’s” Hail Mary was answered and he managed to pull off a miraculous submission victory. The movie will debut at the Tribeca Film Fest on April 21st. They are hoping to garner enough interest to land a distribution deal in order to get the flick in front of the masses. “A little bird flew very far to a very distant land. When it got there it found it was a cold, freezing land and the bird froze to death. A cow passed by and took a dump right on top of him. The warm [crap] that fell on him melted the ice, and he was resurrected. Alive again, but still buried, he started chirping. A cat passed by and heard his cries, and dug him out of the [crap]. And then the cat ate the bird.